A1 Overseas International ships to Ethiopia! Call 1-800-450-5319 or fill out our form for a FREE quote! Thinking about importing a vehicle to Ethiopia, but you aren’t positive on how to do it? A1 Overseas International, an International auto transport organization, can ensure that your vehicle arrives safely. When it comes to exporting a vehicle overseas, regulations might vary drastically depending on where you are shipping it to so it is important to know all of the details. After doing a bit of research, call to inquire about when the best possible time would be to get this plan in motion. The professionals at A1 Overseas International have made it possible for travelers to explore other countries inside the comfort of their own vehicle. There are a couple different methods of transportation they can offer such as. RO/RO- Roll on Roll off is typically how the majority decide to transport their vehicles. The way this works is exactly how it sounds; your car will be driven onto the deck of the ship and secured for the voyage. 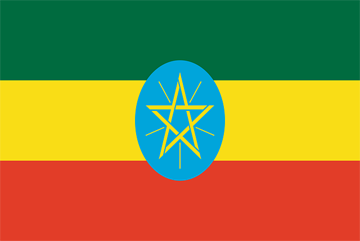 If your vehicle is not in operable condition, you will more than likely need to make special arrangements to have it transported to Ethiopia. Container Shipping- This is another method A1 Overseas International can get your vehicle delivered to Ethiopia. If you want to have any personal possessions transported along with your vehicle, you will need to purchase this method of transportation. With that being said, container shipping is actually a very cost effective way to get the job done. Air Shipping- This method is too costly for most and rarely ever used for auto shipping purposes. To avoid trouble with customs, make sure you keep sensitive items in a safe place and have all of the correct paper work in order. When it comes to Ethiopia, requirements aren’t anything to stress out about, but you will need some important items. Included with these items are proof of ownership, title and registration, license and passport, and receipt of importation. Dial 1-800-450-5319 or submit the form for a FREE price quote on boat, motorcycle and car shipping today!